This topic contains 1 reply, has 3 voices, and was last updated by admin 6 years, 7 months ago. Following is a discussion on the page titled: Book Reviews: 'Marx’s Das Kapital for Beginners', 'The Atheist’s Guide to Reality'. I completely agree with MichaeI Wayne’s commentI do know that getting to the ‘majority’ on a global scale is not an easy task, nor can socialism be ‘enacted pure and simple’. Reconstructing an entire global political economy on the basis of use value rather than exchange – that is not going to be simple.This, I presume, was in response to the passage from the book review as follows@In fact, once we have a majority who understand that capitalism has outlived its usefulness, the change from capitalism to socialism will be enacted, pure and simple. You just cannot have the co-existence of socialist and capitalist relations of production in the world for any significant period of time, and certainly not for generations. This should be clear to Wayne and his readers from every observation throughout the rest of his book about the all-encompassing global nature of capitalism and, by extension, of the very different system which must replace it.What the reviewer misunderstands is that there is a difference between abstractly talking about socialism as a socio-economic system as a whole and talking about “socialist relations of production” in particular.. Socialism as an economic system cannot co-exist with capitalism but socialist relations of production most certainly can – at the sub-systemic level. Engels, for example, long ago pointed to the existence of communistic utopian communities in North America as evidence of the feasibility of communist (socialist) principles of production and distribution inside capitalism. . In fact, if socialist – or perhaps one should say, socialistic – relations of production as they might be called in the sense that they entail work that is unpaid and voluntarily undertaken outside of the market, then something over half all productive work undertaken today can be deemed socialistic, according to United Nations statistics. Wage Labour, in other words, constitutes less than half the work we do today and it is wage labour that is the defining characteristic of capitalism.There is a further point to bear in mind. Granted that the movement to establish socialism will tend to grow in a more or less balanced or even fashion across the world, there is still likely to be a period of time between when a socialist majority first captures power and when the last remaining residual capitalist state succumbs to this democratic socialist takeover. 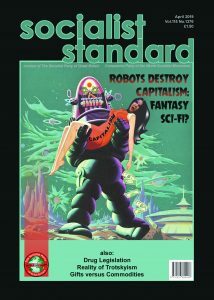 The idea of a simultaneous majoritarian socialist revolution happening everywhere literally at the same time is inconceivable and absurd.This intervening period interests me for several reasons but I don’t think the SPGB has ever really properly theorised this period – or, if it has, I haven’t seen any real evidence of this and, in which case, a link would be appreciated.If the SPGB rightly rejects the whole dictatorship of the proletariat nonsense which I assume it does since it can only imply the continuation of capitalism, then what happens after the first capitalist state has succumbed to a majoritarian socialist takeover and capitalism along with the state is eliminated? How does this incipient socialist area organise its practical economic relationships with the surrounding residual capitalists states?I would contend that insofar as it cannot produce everything it needs, the only realistic candidate on offer is some kind of barter arrangement for the time being. . Nevertheless , this does go to show that the issue is far more complex than might originally be thought . 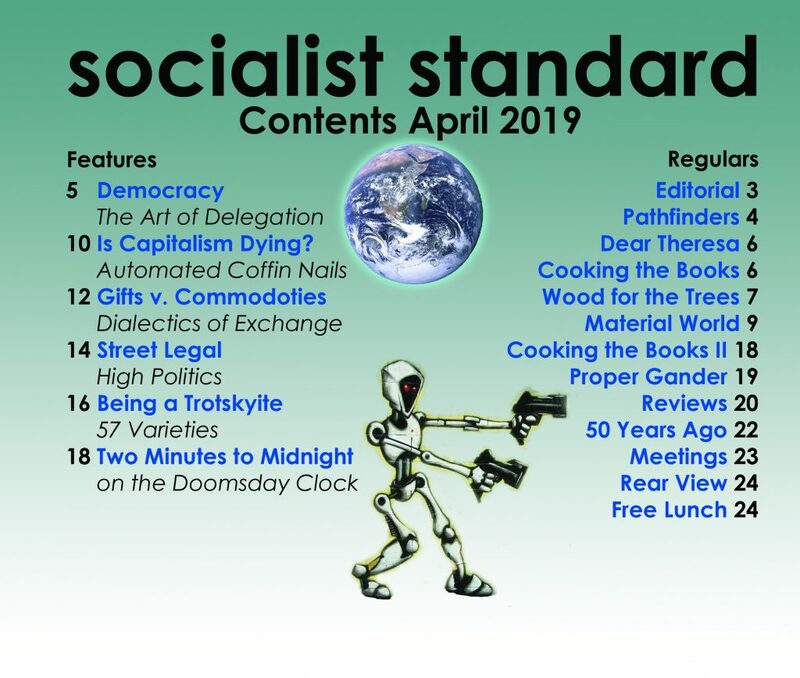 Michael Wayne is quite right to suggest that it is not quite as simple as some in the SPGB think it might be.